This weeks recipe of the week can be a great addition to a meal, or a stand alone snack/meal. Brussels sprouts are good for you and most people 31% don’t get enough greens in there diet. The average person eats 70lbs of potatoes per year (probable not plain baked potatoes either, looking at you french fries) compared to 1/4 lb of brussels sprouts a year. 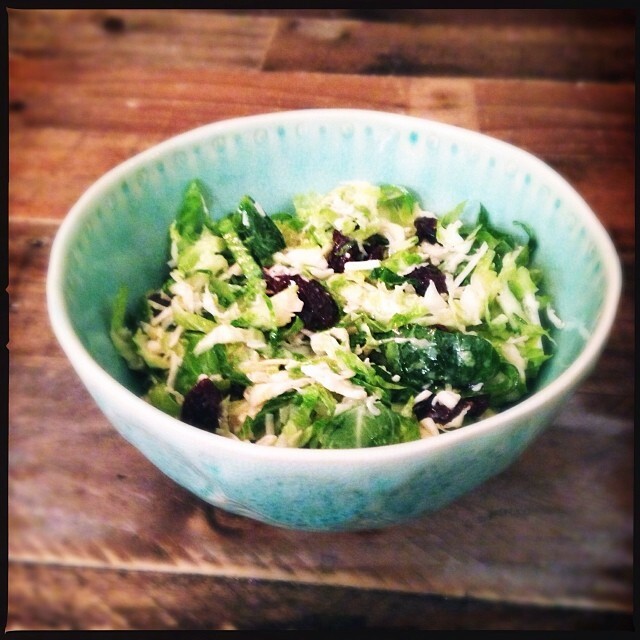 One way to erase that childhood memory about soggy brussels sprouts your mom urged you to eat is to make a salad. I made this this weekend and could not stop eating it. You could substitute brussels sprouts with kale or spinach.For a great visual aid phytonutrient cheat sheet check out the link below. In a jar, mix together olive oil, apple cider vinegar, dijon mustard, salt and pepper. Shake to combine. Combine all ingredients and refrigerate for an hour.